The HCA is delighted to have appointed Julie Crawshaw as its new Executive Director to lead the organisation into the future. Julie, who will be working three days a week, is the first person to hold this post as the Association continues to grow from a small volunteer-led advocacy group to a more sustainable and better resourced charitable organisation. As well as managing the three part-time staff members and various ongoing projects, Julie is tasked with implementing a new strategic plan and ensuring the organisation achieves continued financial sustainability despite not currently being in receipt of any public funding. 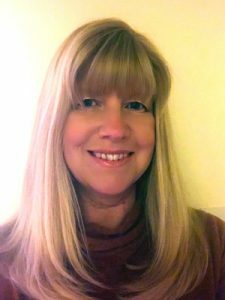 Julie has an engineering background, and most recently has worked as Major Projects Manager at the Birmingham Museums Trust, managing the refurbishment of the Museum and Art Gallery and creating a new museum store. Julie grows willow for fedging and weaving, and also does textile craft. She will be guided in her work by the HCA’s dedicated Chair and Board of Trustees and supported by the existing part-time staff members Lisa, Sally and Mary. We look forward to the HCA growing even further under her leadership for the benefit of the whole heritage crafts sector.